This month, Chantell LaPan, adjunct assistant professor in the Department of Parks, Recreation and Tourism Management and director of global research for the Office of Global Engagement, talks about supporting and funding international research. My research focuses on using tourism entrepreneurship to reduce poverty in rural and economically depressed areas in the U.S. and developing countries. Tourism research often lends itself to a global lens, but the value of internationalizing your research might not be as obvious in some fields. My previous degrees are in cultural anthropology and international studies, so I’ve spent my entire academic career considering issues from a global perspective. International research, however, comes with a unique set of challenges that may deter some scholars. Given that the grand challenges of our society are increasingly global in nature and cannot be solved through disciplinary silos, I was drawn to the opportunity to help faculty advance cutting edge global research, while reducing barriers to doing research abroad. I’ve learned a lot that I wish I had known as I was starting out looking for ways to fund my own international research. NC State offers a number of internal funding programs. The Office of Research Innovation and Economic Development (ORIED) seed funding opportunities and the Chancellor’s Innovation Fund support a variety of projects, which could involve international components. The Office of Global Engagement’s seed grants are strategically targeted at international research and there are five programs that are currently accepting proposals. These opportunities generally make use of small pots of money to fund international collaboration and travel. It’s a good way to explore new partnerships to see if they might be successful. International research is most often conducted across time zones, varying academic calendars and cultural norms. If your long-distance research is going to work out, you’ll want to make sure you choose your collaborators wisely. If you don’t already have international collaborators, there are several ways to go about making these connections. The first is by attending international conferences in your field. Another way is by leveraging colleagues at NC State with connections in the part of the world you are hoping to work. The Office of Global Engagement has organized Regional Engagement Teams for six world regions, so this might be a good place to start. On November 21, we will host an Asia Reception for faculty working (or interested in working) in Asia. You can also search the Global Partners Database to find NC State faculty with certain topical or regional interests or to see which institutional partnerships already exist. If you already have a collaborator in mind, but are looking to spend more substantial time working together, consider hosting them as a visiting scholar at NC State. As your project grows, you may look for external resources to support your international collaboration. It can take a lot of time to sort through funding opportunities, so take advantage of available resources to help find something that’s the right fit. The university’s subscription to InfoEd’s SPIN funding database allows faculty to define custom search parameters, narrowing the options significantly to your specifications. 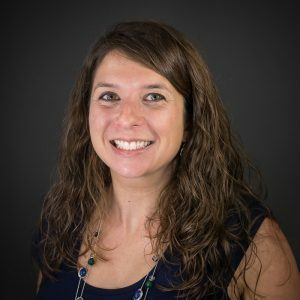 Chantell LaPan is an adjunct assistant professor in the Department of Parks, Recreation and Tourism Management and director of global research for the Office of Global Engagement. She can be reached at cmlapan@ncsu.edu.